We know your yard is the courtyard of your castle. It’s where you enjoy the splendid North Dakota summers. It’s where you host friends and family from birthday parties to BBQs to quiet nights in. It’s where life happens. 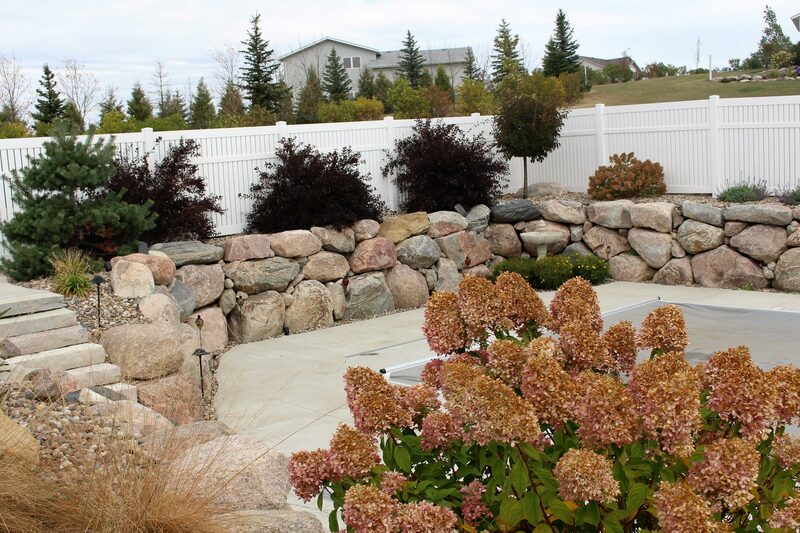 At Integrity Landscapes, we make life better through the art of functional and beautiful landscape design. 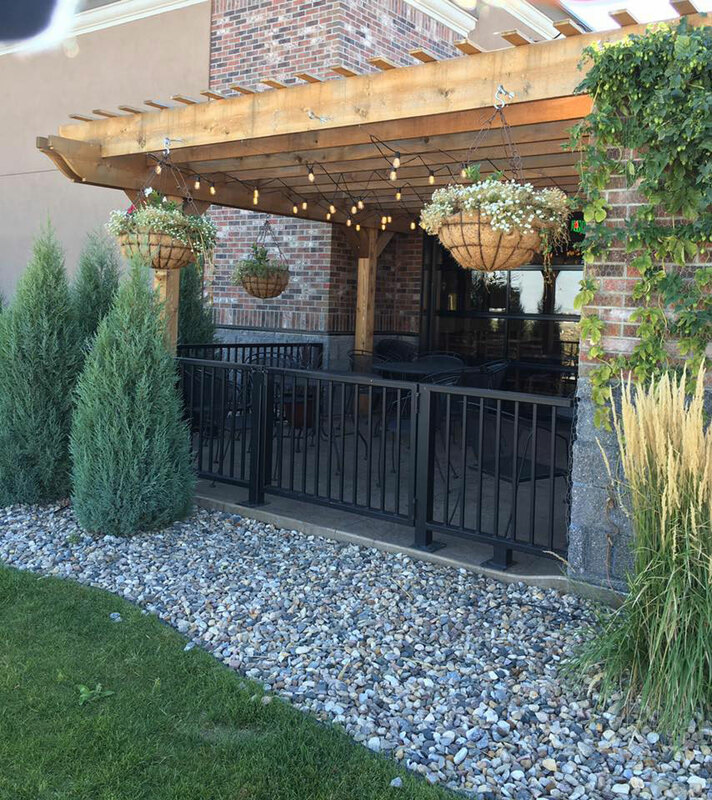 We create inviting and functional outdoor spaces that are not only aesthetically pleasing but are also assets for your home or business. Explore our range of services and give us a call. 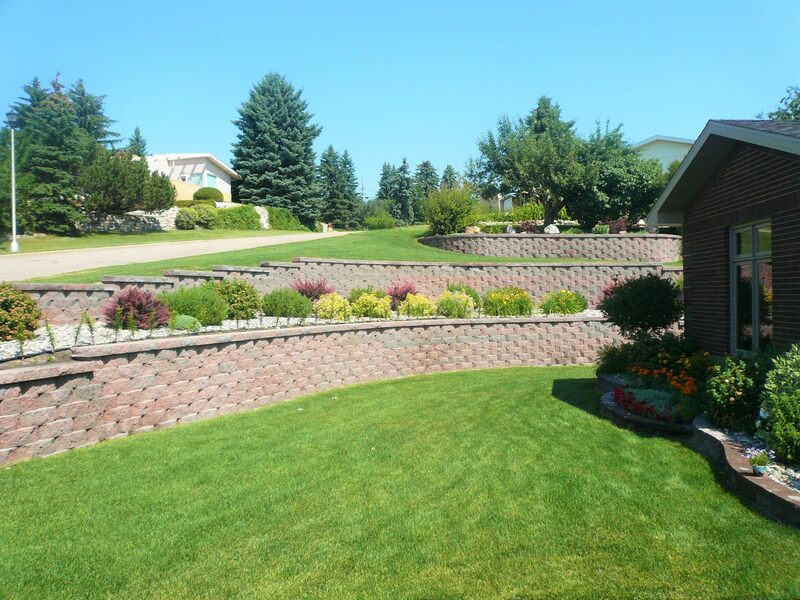 Handling the terrain of Bismarck/ Mandan can be accomplished through functional, space creating walls that look amazing, and beat the destructive forces of a ND harsh frost cycle. The design capabilities and performance are unmatched. 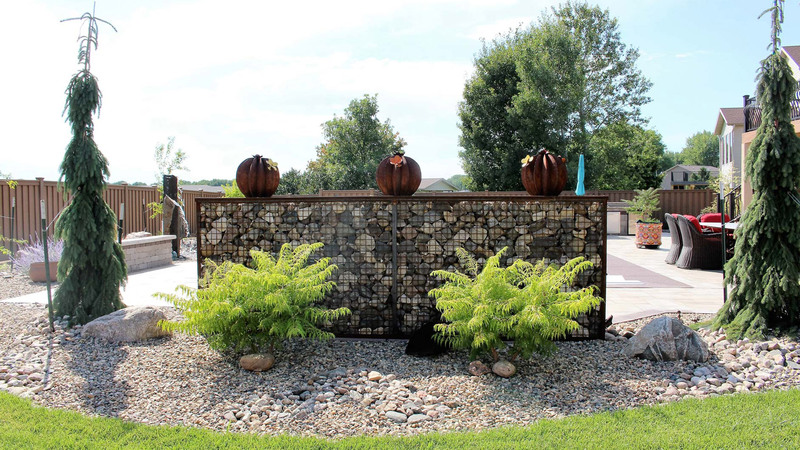 With natural beauty and "hard as a rock" structural integrity, stone material native to the Bismarck/Mandan landscape can seamlessly compliment any landscape for decades to come. And with costs often over 20% LESS than block, boulders can help keep more cash- in your pocket. Patios can be comprised of an array of materials and be designed to fit any style and nearly every budget. 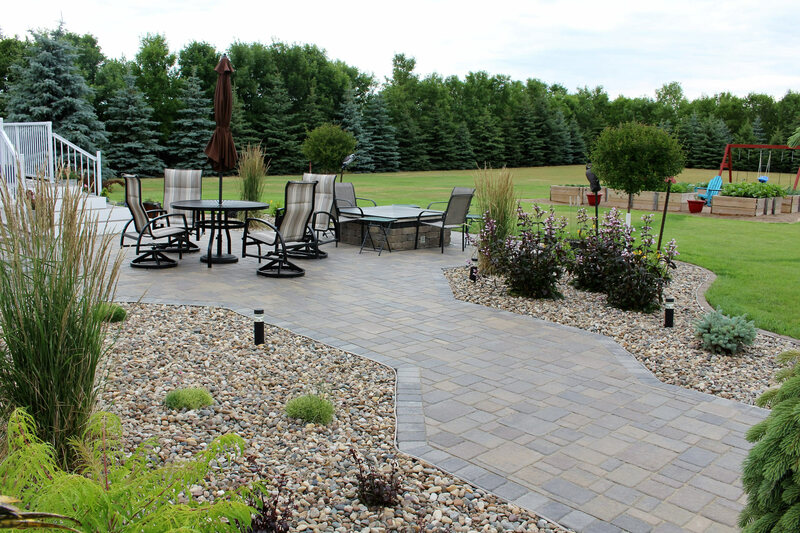 When installed correctly and when quality materials are used, a paver patio can last many decades with very, very little maintenance. They can add that much desired livable bonus square footage to your home. Whatever your style, whatever the space, Integrity Landscapes can put the icing on the cake. Our designs come with jealous neighbors at no extra charge. 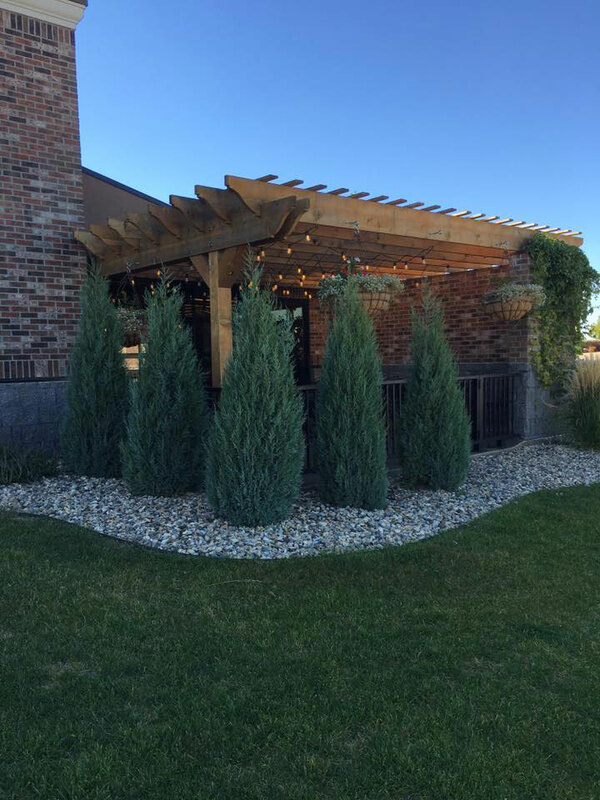 Even with the cold climate of ND, there are many plant varieties we utilize to create the jaw drop effect. Our goal is to not only give your property curb appeal, but to also create a low maintenance design that gives your home or business its own identity, unique to all others. 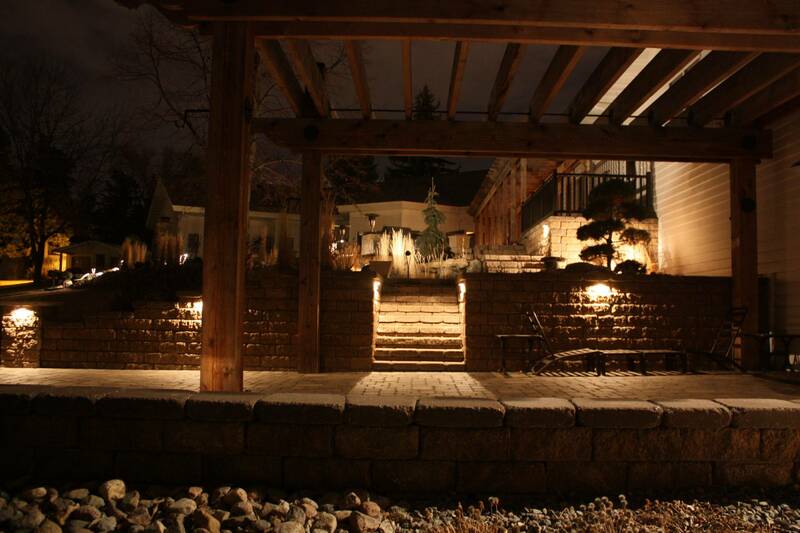 Landscape lighting is one of our favorite touches. 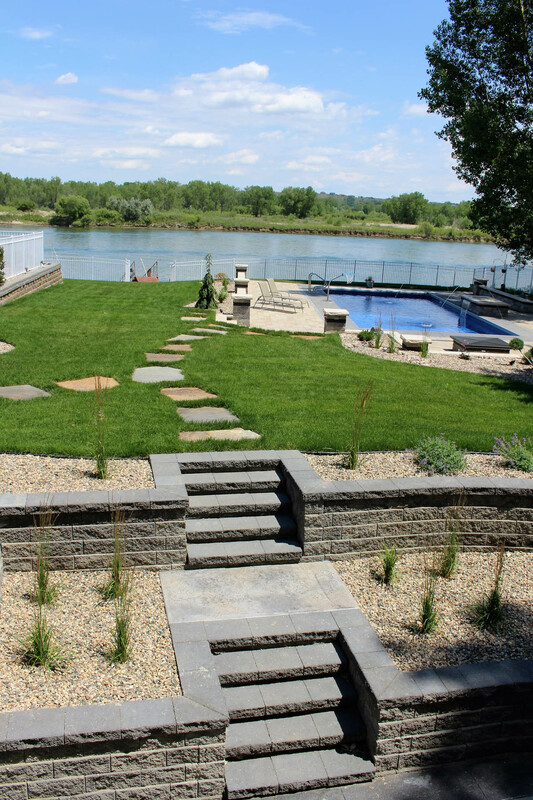 It is a pivotal piece to creating a breathtaking landscape design. Creating ambiance and emotion, lighting will bring your home and outdoor space alive. Lighting creates an entirely new and different perspective. 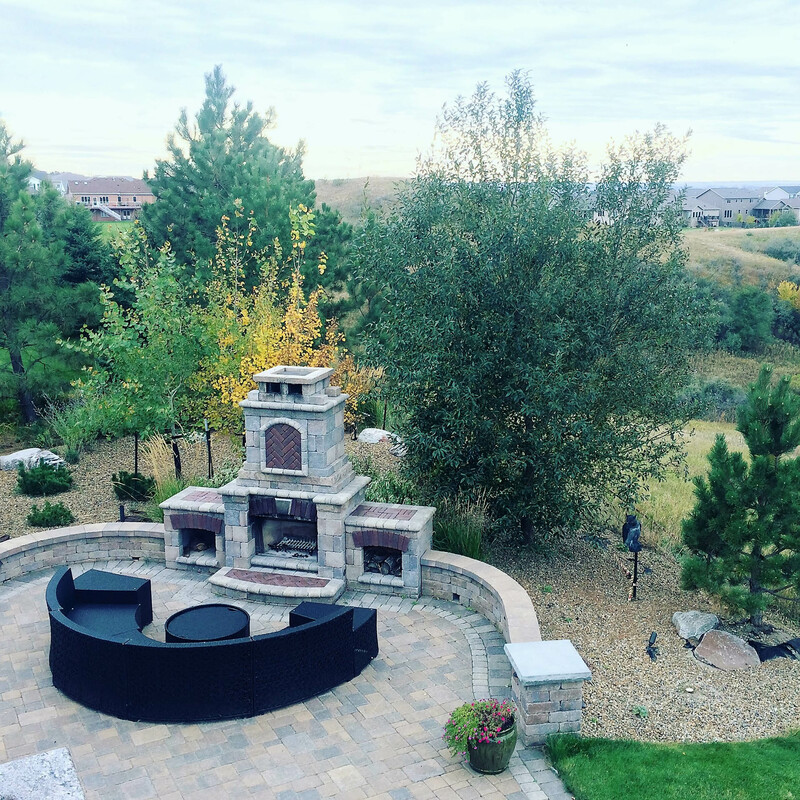 This icing on the cake is a small percentage of what your total landscape package costs, however, lighting it up when the sun goes down creates 24/7 enjoyment of your invesment . It’s uses are valued in aesthetics, function, and security. 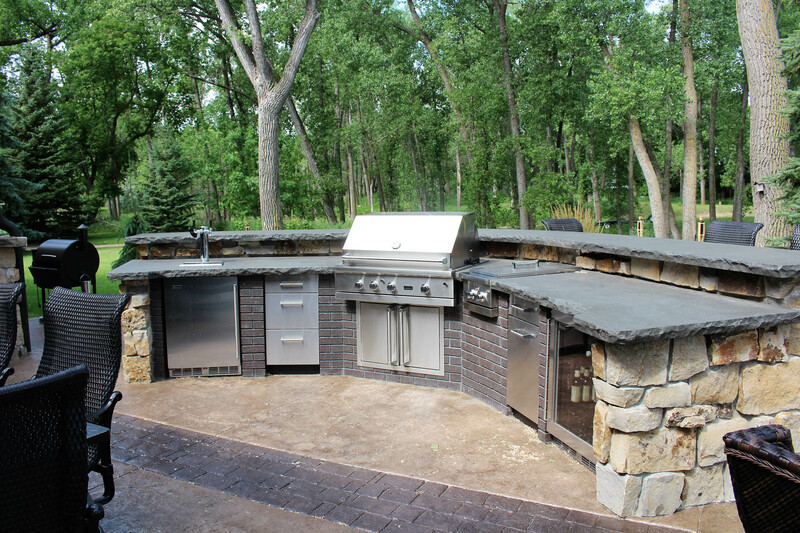 Just as the kitchen is the heart of your home, also is the outdoor kitchen the heart of your yard and what it "brings to the table". It's a hot spot hangout, as people gather for food, drink and conversation. Custom built for your needs, it is an additional centerpiece to having more usable and liveable square footage. Whether it’s wood or gas, portable or permanent, a fire pit or a fireplace, it creates a space for the moment of time to linger longer and for more stories and laughs to be heard as you enjoy priceless time with family and friends. Fire features help get you to those moments and relaxing times to enjoy what life is all about- love and relationships. Once only considered a mere functional aspect to a project, they now can also take on amazing beauty and incredible transitions. 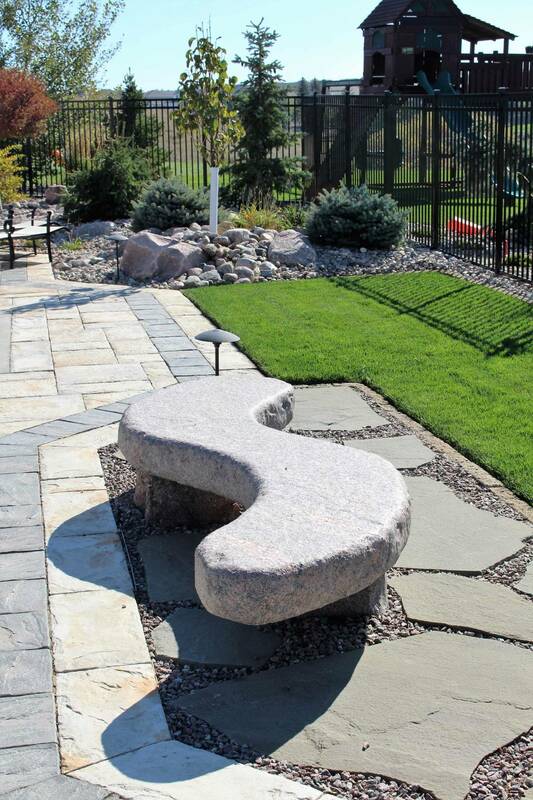 With many material options from block to rock and from wood to stone, we can design and install for form and function. 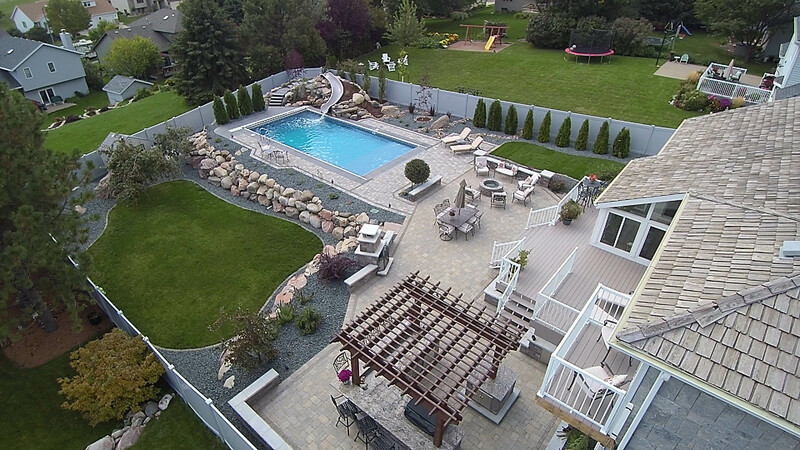 At Integrity Landscapes, we can put your project on paper or on screen, from Cad blueprints to realistic imaging software. We can create not only a design for your landscaping but we can also put it in your hands so you can see it, however that may work for you. Pergolas are primarily built for the functional aspect of creating shade on a hot summer day. However, they also bring a unique and complementing aspect to the landscape. Providing another texture and form, a pergola can also create a relaxing room. Take a load off and relax in a space unique in feel and in function to all other outdoor spaces’ capabilities. It can create a stage, a dining room, a living room, even an outdoor theatre. 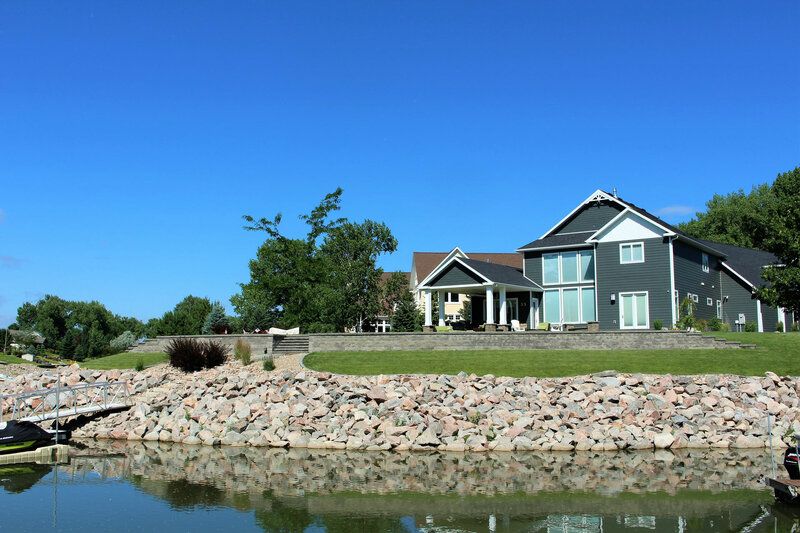 Whether you are on the mighty Missouri or living the lake life, we provide solutions for your special property to achieve its potential in structure and security. Integrity Landscapes offers commercial and multi-family property snow and ice management. 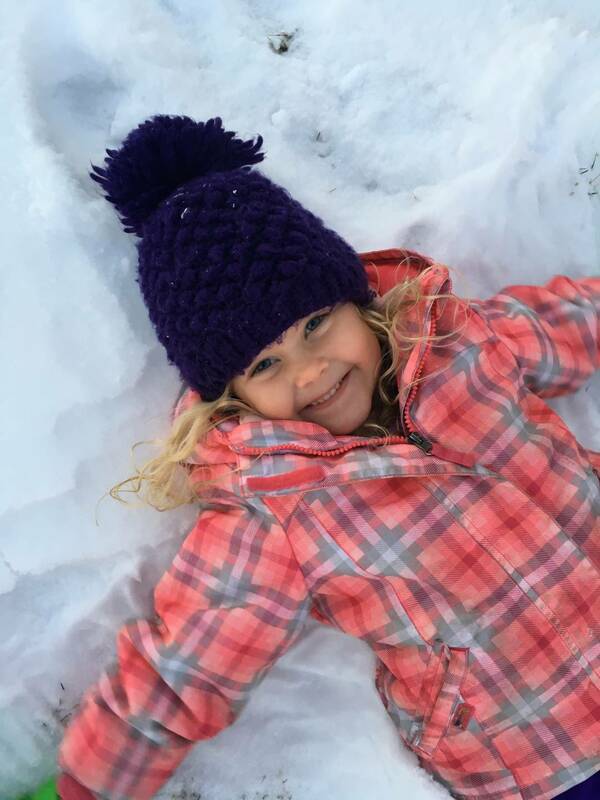 With reliability you can count on, we are in the harsh and unpredictable North Dakota winters by your side. We are able to service large and small properties within a variety of parameters to cater to your needs! Not sure who to to call or how to wrap your head around your goal or project? Call us and we can guide you to achieve your goals or dreams. With too many services to list, Integrity Landscapes can execute the work needed or we know who can. Everything Under the Sun!